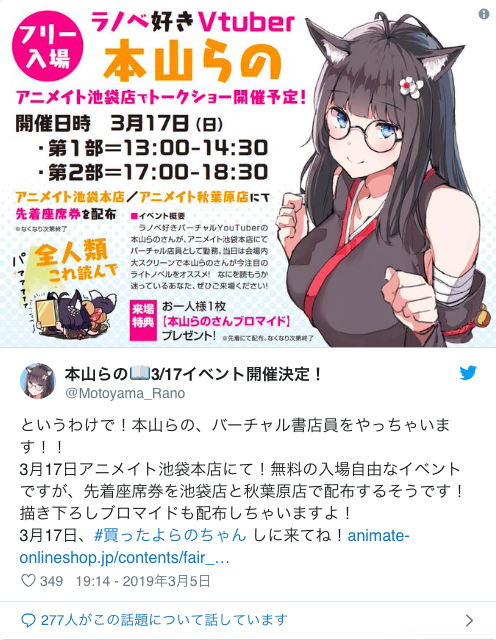 Motoyama Rano: Novel vtuber is doing talk show on the 17th at Animeito Ikebukuro. They have one at 1pm and the other one at 5pm. It’s free to enter, and you can get priority seat ticket at animeito ikebukuro store or akihabara store from the 6th. In the talkshow, she’ll talk about her novel recommendation as a virtual clerk of a bookstore. 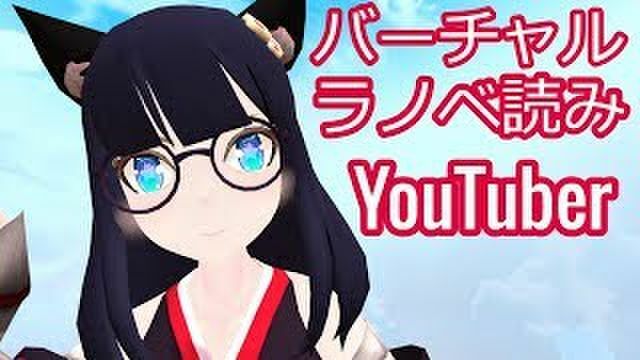 Also she might do a live stream on the day so for those who live far from Tokyo, stay tuned!